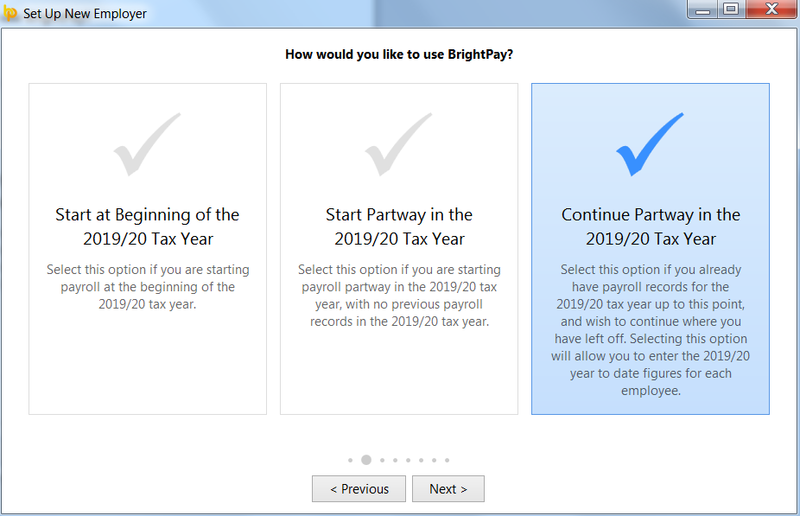 BrightPay facilitates the import of employee information, and if applicable mid-year totals to date, using a Full Payment Submission (FPS) file. Using an FPS file created in your previous software is the quickest way to bring across your basic employee information. This import option will only bring across employee information that is required by HMRC in a Full Payment Submission. Further manual entry may thus be required in each employee record for employee information that is not included on an FPS e.g. email addresses, bank details, annual leave entitlement, departmental allocation etc. 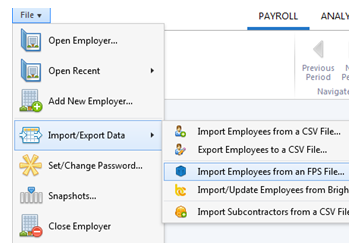 For a more comprehensive import option, please see the support section on 'Importing using a CSV file'- Other Software'. BrightPay can import an FPS from any tax year, therefore care must be taken that the correct FPS file is being selected at the import stage. 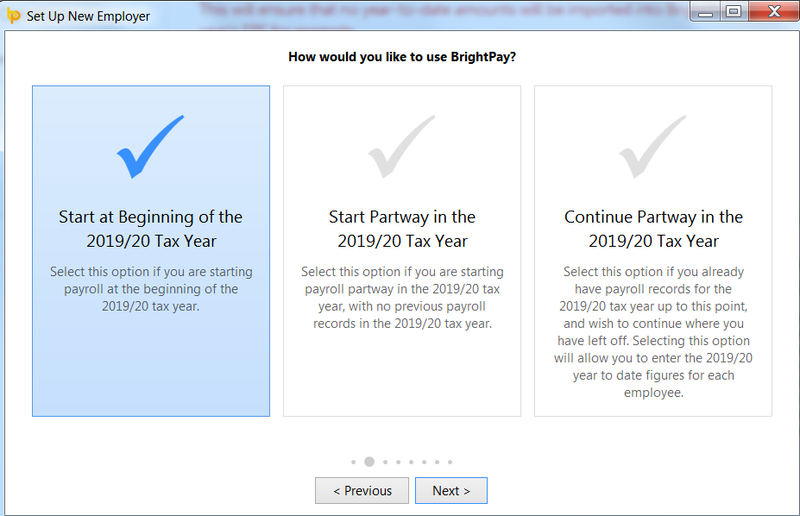 Please note that importing an FPS from a previous tax year into the current tax year version of BrightPay will not automatically uplift tax codes. Therefore employee tax codes will need to be updated in each employee record to reflect the correct current year tax code applicable to each employee. This will ensure that no year-to-date amounts will be imported into BrightPay, in the event you are using a previous year's FPS for example. Important note: make sure that the FPS with the most recent modified date is chosen, to ensure that the most up-to-date employee information (and year to date amounts, if applicable) is imported. 7. 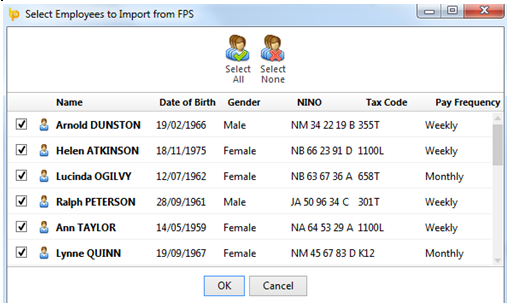 Employee information contained within the FPS selected will now be displayed on screen. Review your employee information to ensure that the correct FPS has been selected. Should you not wish to import an employee, simply untick their name.